:A special pictorial tribute to Fred Stallan, whose letters based on phrases of Scriptures, have received deep appreciation from every quarter of the globe. This special full colour presentation brings together one hundred and twenty readings combined with many photographs from Scotland, England and abroad. 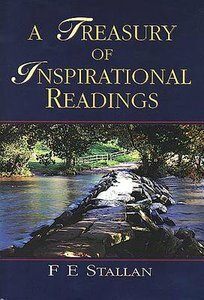 About "A Treasury of Inspirational Readings"